It becomes immediately evident that Utah’s history in arts and culture is as rich in pioneer spirit as when the settlers first descended into the Salt Lake valley nearly 170 years ago. In 1899, at the age of 30, Alice Merrill Horne was elected to the Utah Legislature (the third woman to do so) and she drafted a bill to create the nation’s first state-sponsored arts agency. 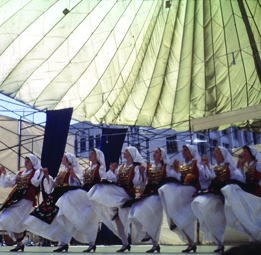 Maurice Abravanel, born during the final years of the Ottoman Empire in what is now known as Thessaloniki, Greece, turned down a contract with Radio City Music Hall and arrived in Salt Lake City in 1946. 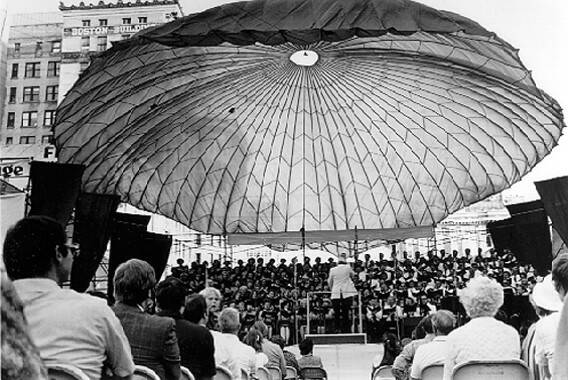 Abravanel transformed Utah’s largest community orchestra at the time into an internationally acclaimed symphonic orchestra. Visionaries such as Virginia Tanner, Joan Woodbury, Shirley Ririe and Linda Smith have made Utah one of the nation’s preeminent centers for dance. 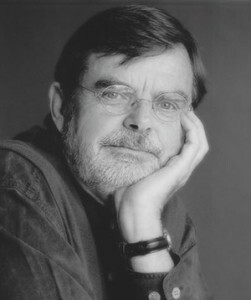 William F. Christensen, Ballet West’s first artistic director, established the first ballet department in an American university at The University of Utah in 1951. As the Utah Arts Festival – also the nation’s first state-sponsored arts festival – marks its 40th anniversary this year, each of these legacies will be celebrated in grand fashion when the four-day festival opens June 23. But, as Lisa Sewell, UAF’s executive director, explains, this year’s anniversary milestone reflects how the festival has evolved as the ideals and perceptions of what defines art and how it is created more than the number of years the event has existed (only slightly more than half of 1,400 arts festivals around the country have been around longer than a decade). Both Literary Arts (started in 1995) and Fear No Film (started in 2003) — each extensive enough to qualify as a major festival in its own right — will offer the largest, most extensive programming in the festival’s history. Started four years ago as a part of the Urban Arts venue, the Art and Technology venue comes into its own this year with a comprehensive slate of interactive programs that give festival visitors, among other things, the chance to try their hands at mesmerizing holographic and virtual reality creative tools. For the first time, one of the major performance stages will feature an evening with two electronic music performers and producers who see their work as boundless and attuned to a truly global spirit. Hip-hop artists also will be represented. Poetry slams in individual and team competitions have attracted such a high level of talent and skill to the festival that they likely will become part of the national competitive circuit within the next two years. Sewell, who has been involved with the festival for half of its existence, explains that effective planning requires “us to push back against resistance.” Recently, she was asked to offer guidance to Helper, Utah community arts leaders who are looking to spark greater interest in their own festival, which has been running for more than 20 years. “You always have to start by talking to the community,” she adds. 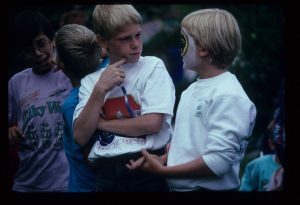 It was a community conversation that launched the festival four decades ago. In the mid-1970s as the country appeared to reaffirm its national character in the bicentennial celebrations, the time seemed right for Salt Lake City arts supporters and community leaders to put into bold practice the ideal of public access to the arts – a cornerstone of creative democracy where art is brought directly into the streets. 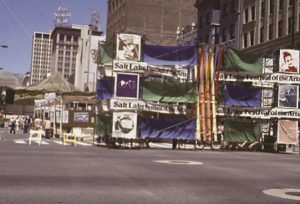 In 1976, public art still was a novel concept, even in New York City where nonprofit groups had started to revitalize the cultural scene in the SoHo district with magnificent super-sized murals on the walls of urban buildings. 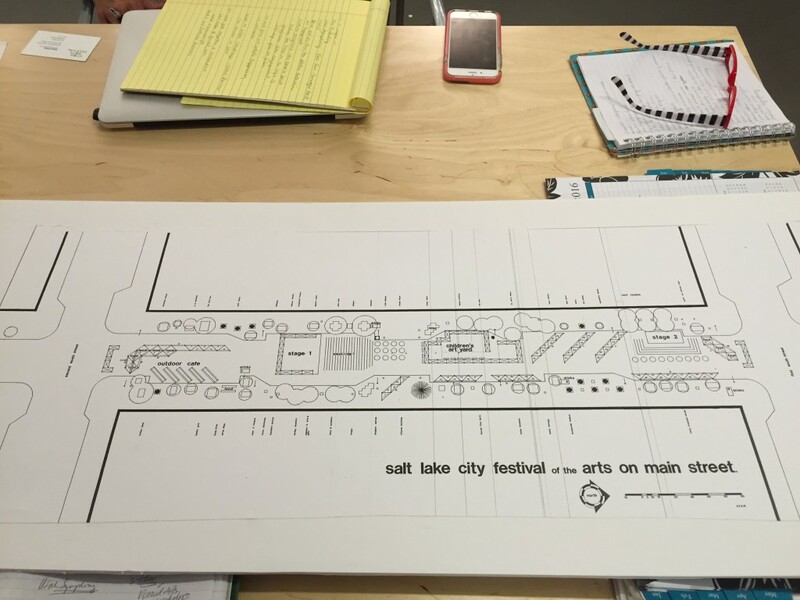 Inspired by what he had seen in his travels, Skip Branch, a veteran public relations and marketing communications professional, worked with Ted Wilson, then mayor of Salt Lake City, as the newly formed Salt Lake Arts Council was taking shape. 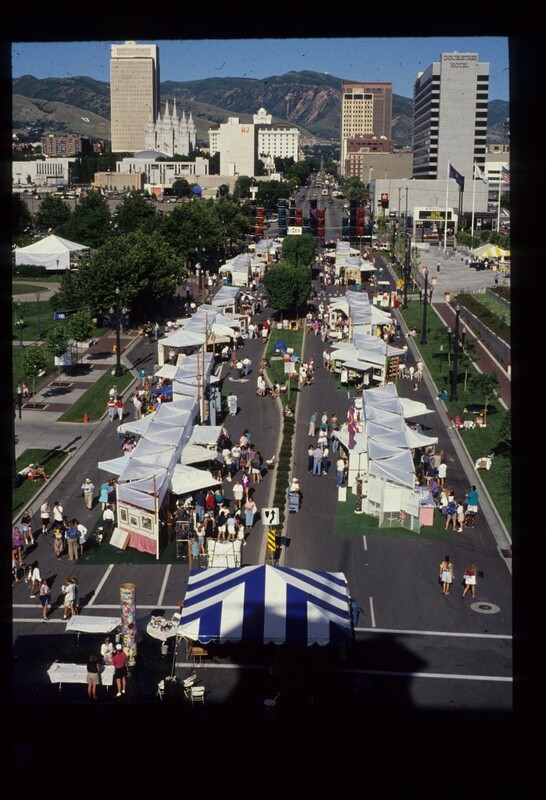 At the time, Branch, in an interview with The Utah Review, explains the council had experimented with taking the arts to the parks including pocket park concerts. At a gathering with the late Frank Sanguinetti, the founder of the Utah Museum of Fine Arts, Branch and others were discussing ways to bridge the intimidating barriers they believed prevented people from visiting art galleries. Hearing Sanguinetti’s comment not as glib but as a worthy challenge, Branch said the arts council brainstormed ideas, quickly settling on that it would not just be the visual arts but also the performing arts, children’s activities, food and folk art crafts which could be brought into the streets. “I called Wilson and said we have a crazy idea,” he says. “Wilson said he loved it and said let’s do it.” The group focused on holding the event on a long weekend in June with a venue on Main Street between 200 South and 300 South. While the event quickly took shape, more than a few downtown merchants had urged the local power brokers to halt further preparations because they believed the festival would disrupt their normal business operation. 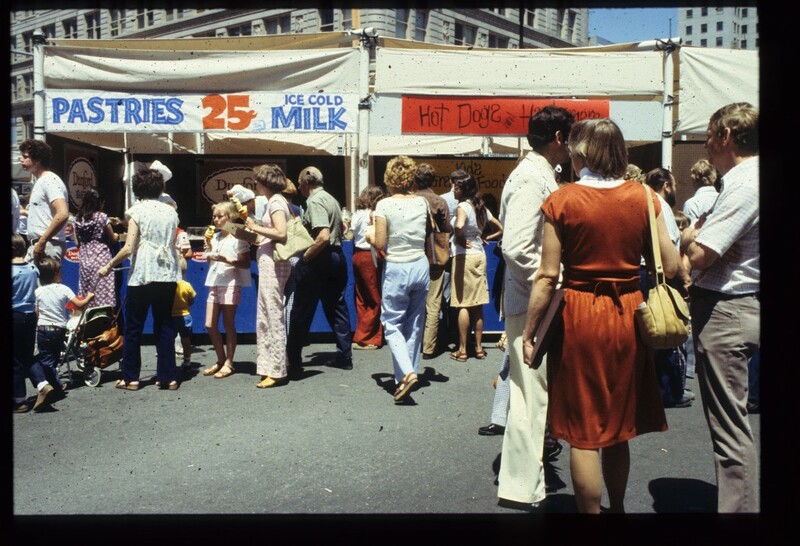 The second festival in 1978 was equally successful and with grants and state funds, the event expanded even more quickly, taking on its permanent name as the Utah Arts Festival. In 1979, the festival was held in an area marked off by West Temple and the Calvin L. Rampton Salt Palace Convention Center. 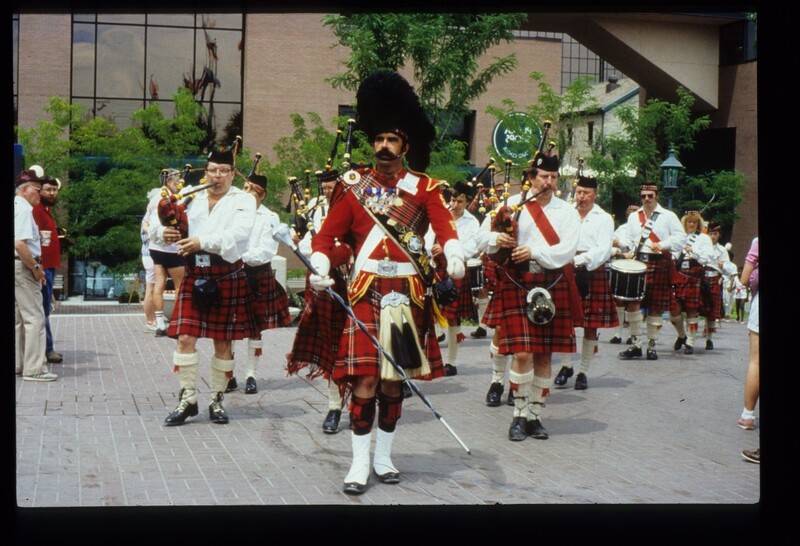 In 1980, the event, which was held in September, was located entirely on the convention center grounds with some performances at the Capitol Theatre. 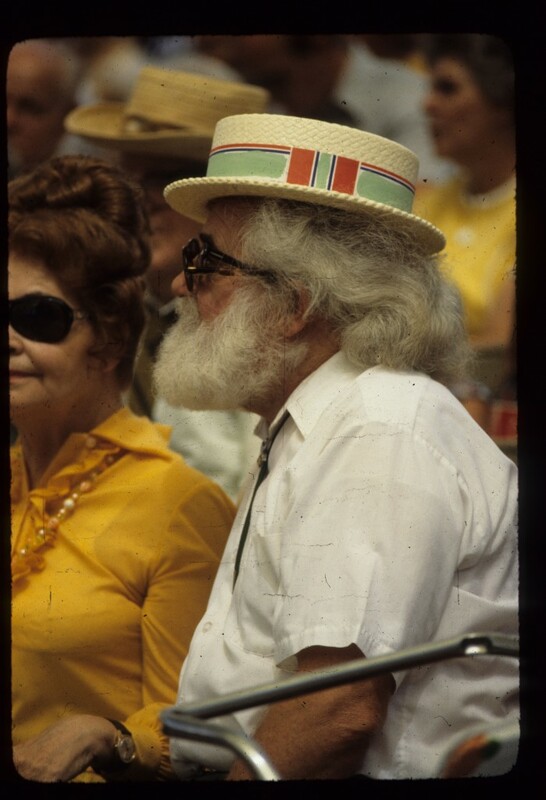 The festival’s greatest vulnerability was the lack of a permanent home. 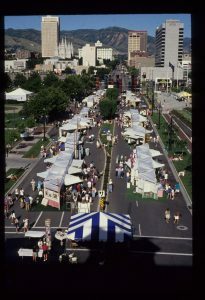 Over the next two decades, it was located in various downtown corridors and at the Utah State Fairpark, a location Branch says many thought meant the festival “would fold up its tents permanently.” When the new City Library opened in downtown in 2003, the festival gained a stable home and since then the programming has expanded greatly. In 2016, state officials think likewise, with Gov. Gary Herbert proclaiming June 2016 as Utah Arts Festival Month. UAF also has received the governor’s and SLC mayor’s leadership awards. 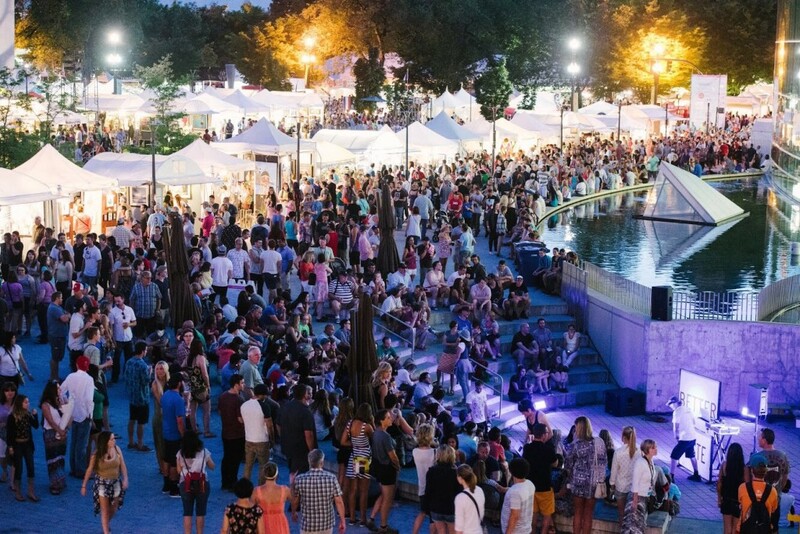 This year’s four-day festival opens on Thursday, June 23, with free admission for everyone on that particular day, courtesy of a grant from the Utah Department of Heritage and Arts and the Utah Division of Art and Museums. Ticket prices for the remaining days will be the same for the fourth consecutive year. Some 60 percent take advantage of various ticket discounts and more than 6,000 tickets are given free to underserved and special needs populations. Adult $8 admission tickets for Friday, June 24 through Sunday, June 26, are on sale now through June 17. Thursday admission is free to everyone, but at the gate from Friday through Sunday adult admission is $12, cash only. The lunchtime special is available for $6 on Friday, from noon-3pm. Seniors 65+ and Military admission is $6 per day. Children, age 12 and under are always admitted for free. Full four-day Festival passes are also available for just $30. The four-day festival will likely bring in approximately 65 percent of the revenue the organization needs for its annual budget of a little more than $2 million, UAF’s most prominent yearly undertaking. One of the most vital funding resources has come from the sales tax revenue earmarked for Salt Lake County’s Zoo, Arts, and Parks (ZAP) program, which was just renewed by voters last fall by an overwhelming majority. It has made it possible for children 12 and under to have free admission to the four-day Utah Arts Festival. 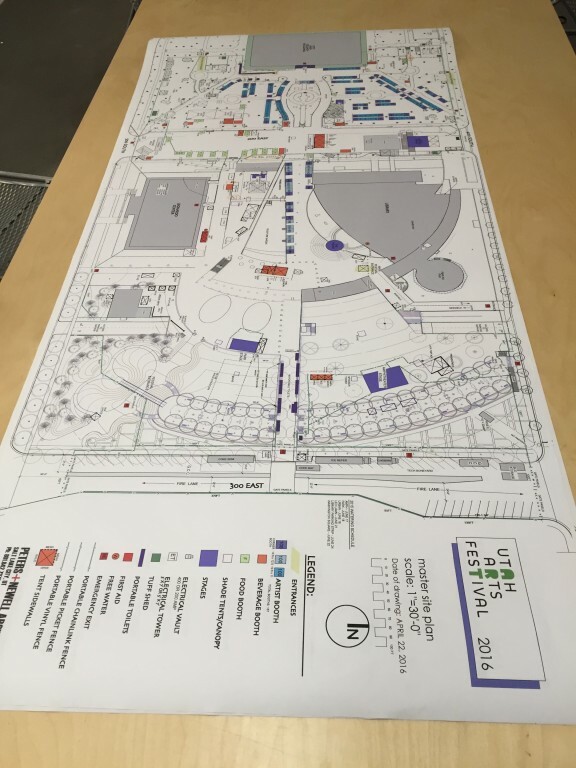 Layout map of the 2016 Utah Arts Festival. Festival staff members also have given a bit of well-intentioned whimsy to this year’s fundraising efforts. For the “Friends Who Give A Crap,” people can donate $75 to sponsor a porta-potty. In addition to having their names featured on a unit, they will receive two festival tickets and a mini, commemorative foam potty. One of UAF’s most effective personal touches in its community development efforts, The Friends With Benefits program, has continued to grow steadily, especially in terms of higher contribution levels in the $250 group. The program offers multiple contribution levels, ranging from $50 annually to $1,000 or more, which include various amenities and privileges that extend to other activities and events the UAF sponsors year-round. Even donors who contribute in the $25-$49 range receive a pair of tickets to the festival. Aimee Dunsmore, development director, says this year, UAF is offering Friends donors at the $100 level to get either a “Friend for a Day” or a four-day pass. 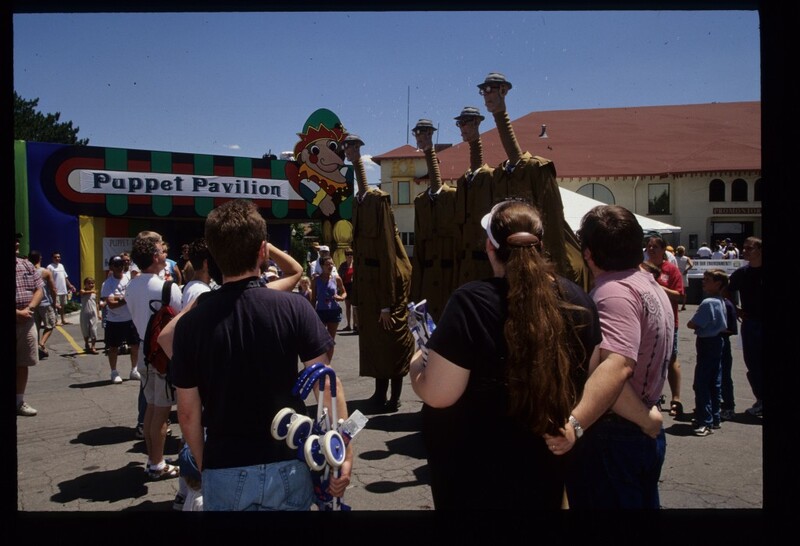 The “Friend for a Day” pass includes festival admission as well as access to all three VIP patios, and other Friends events during the Festival. 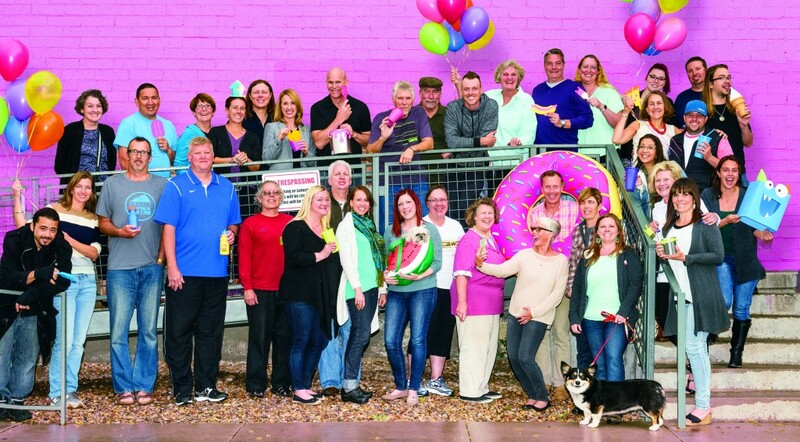 Another popular festival fundraising event is the Big Deal Brunch, which will be held on Sunday, June 26, from 11 a.m. to 1 p.m. at the Hospitality Patio. Tickets are $35 and include brunch, fresh donuts prepared on site by The Sugarhouse Donut Company, juice, coffee and a live performance by the Kaleidoscope Trio. Tables of eight can be purchased for $400 and include reserved seating as well as two brunch beverages per guest. On June 17, five percent of all sales at the Whole Foods Trolley Square location will be donated to the festival. Whole Foods also is distributing vouchers for the festival’s free admission day at all five Utah locations. Dunsmore says that in sponsorships, corporate support is up by 15 percent, as is foundation giving. The festival also received a $15,000 Art Works grant from the NEA. “It’s always amazing to me that we not only have so many sponsors returning, but also that there never seems to be a lack in interest from great new partners who want to be involved,” she says. Nighttime festival crowds. Credit: Austen Diamond Photography. Making transportation logistics as easy and convenient as possible is a major factor once again this year, as organizers expect more than 85,000 visitors during the festival. The Uber transport company will ferry passengers to the festival’s entrance at 500 South and 300 East, and if they are new to Uber they will receive their first ride free up to $20 with the code UAF2016. Current Uber riders can use the code and Uber will donate $5 to the festival and everyone who arrives by Uber will receive a $2 discount off Festival admission, Friday through Sunday, whey they show their receipt at the gate. The valet bike lot will be operating in coordination with the Salt Lake City Bicycle Collective (and users receive $2 off the regular festival admission price). The Utah Transit Authority also is extending service, including its TRAX light rail and S-Line Streetcar lines, during the festival’s four days, in order to accommodate patrons who stay until the festival’s 11 p.m. closing each day. Follow The Utah Review daily from now until the end of the festival for comprehensive previews and ground coverage.